Born in Worcester, Went was educated at Worcester Cathedral School and Trinity College Dublin. 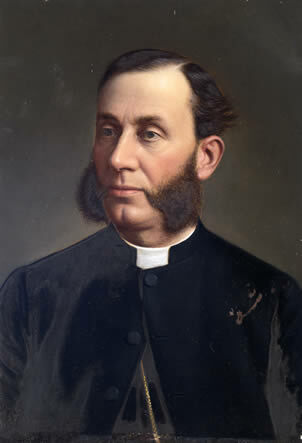 After ordination he returned to Worcester as a Curate at St. Helen’s and St. Albans parish churches for 1868-69 and then moved into teaching. His first appointment was as Assistant Classical Master at Nottingham High School (1869-72) followed by Second Master at Bradford Grammar School, (1872-77). In 1877 he moved to Leicester to become the most famous Headmaster in the history of the Wyggeston Grammar School, retiring after a remarkable 43 years in the post in 1920. He was involved in many local organisations including the Lit. and Phil. and at national level, including holding the office of President of the Incorporated Association of Headmasters in 1905, and continuing on its governing Council until his retirement in 1920. He remained in the Leicester area to his death, holding the office of an Honorary Canon of Leicester Cathedral. His publications included Old school days: a short account of William Wyggeston’s Foundation and of Queen Elizabeth’s Grammar School (1892 – based on a lecture delivered to The Leicester Literary and Philosophical Society, November 7th, 1892) and a Latin Exercise Book Facillima published in 1897.